Note: In this ongoing series, instead of summarizing a recent result from astro-ph, we will discuss a historical discovery from a paper that has become an astrophysical classic. Authors: Bradford A. Smith et al. 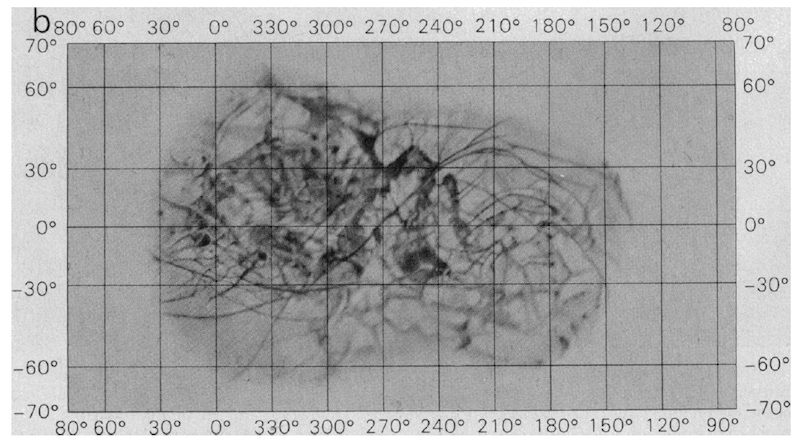 While the paper is chock full of photographs of the whorls of red and yellow clouds on Jupiter, Io’s pitted and scarred surface, and bright craters splashed over the dark material that covers Ganymede, let’s focus on a small moon that in this 1979 paper merited only a few brief paragraphs: Europa (see Figure 1). Figure 2. A shaded relief map of Europa’s surface, generated from multiple images of the moon taken by Voyager 1. Figure 14b from the paper. Beneath its shifting and cracking ice shell, Europa could harbor an immense subsurface ocean. Could the tidal stresses that Jupiter exerts on the small moon, repeatedly deforming and stretching the moon and heating it by friction, provide enough energy for life to form in these waters? Or is the ocean filled with compounds that could make life unlikely? And just how thick is the ice shell? Could we ever drill through it to reach the liquid underneath? Before we start to answer — or even ask — these questions, we need more evidence of this proposed water ocean. To figure out what’s going on under Europa’s icy surface, we’re going to need another spacecraft. On Galileo’s first pass near Europa, its magnetometer picked up a subtle change in the strength of the ambient magnetic field. This small perturbation in the background magnetic field from Jupiter was interpreted to mean that Europa had a permanent magnetic field of its own — a discovery that, if true, would be incredibly exciting. 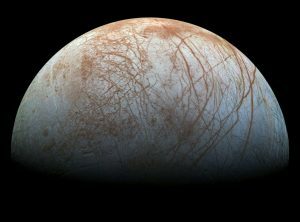 However, later analyses revealed something different: The results were consistent with the presence of a conducting layer beneath Europa’s surface — like a salty subsurface ocean. A 2000 Science paper details how this works on Europa. 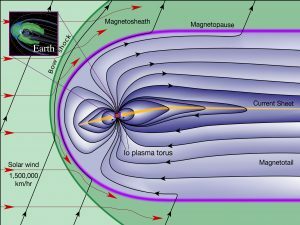 While the strength of Jupiter’s magnetic field at Europa’s location remains more or less constant, the direction changes as Jupiter rotates. This time-varying magnetic field induces a current in the conducting liquid layer, which in turn generates its own magnetic field, which is picked up by the magnetometer as a departure from the expected magnetic field. So we’ve detected an ocean beneath miles and miles of ice on a distant moon, without the aid of visible water plumes, because of the way it responds to an imposed magnetic field. This is hugely exciting, but there’s still so much we don’t know about Europa’s ocean. What does the future of Europan exploration hold? Luckily, the next two decades should bring two new missions to the Jupiter system: NASA’s Europa Clipper, set to launch in the 2020s, and ESA’s Jupiter ICy moons Explorer (JUICE), with a planned launch year of 2022. Although JUICE’s primary target is Jupiter’s moon Ganymede — the largest moon in the solar system and the only one known to possess an intrinsic magnetic field — the spacecraft will carry an ice-penetrating radar capable of probing the upper layer of Europa’s ice shell. 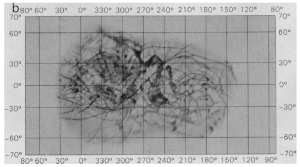 Europa Clipper will also carry an ice-penetrating radar as well as a magnetometer, which should help us determine whether or not Europa has a subsurface ocean, how salty it is, and how thick the ice shell is. Until then, we’ll have to be content with our own imagining of what lies beneath the ice.